David Legwand has officially announced his retirement from the National Hockey League. The 36-year-old was the first draft pick of the Nashville Predators franchise, going second overall in the 1998 NHL Entry Draft. He went on to spend parts of 14 seasons in Nashville, where he sent team records in goals (210), assists (356), points (566), and games played (956). Legwand’s best season came in 2006-2007, when he put up 63 points with the Predators – including 27 goals. But the 36-year-old had trouble finding his footing outside of Music City. A 2014 trade to his hometown Detroit Red Wings signalled the beginning of the end. He played 21 games for Detroit, putting up 11 points. 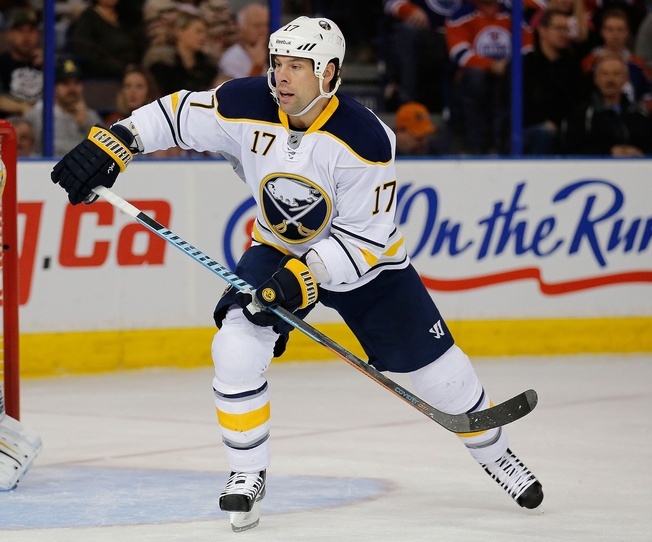 He was picked up by the Ottawa Senators for the 2014-2015 season and played 80 games, scoring nine goals and adding 18 assists before landing with the Buffalo Sabres. Legwand skated a diminishing campaign with the Sabres, only managing 14 points in 79 games before he went unsigned in the off-season. “What a great ride this was, especially having the chance to play nearly 1,000 games for my drafting club in Nashville, and seeing the growth of the game there; to fulfilling a dream of playing for my hometown Red Wings; to experiencing the positive vibe of playing in Canada’s capital of Ottawa; and to end with the talented players of the Buffalo Sabres in my final season,” he said in a press release. Along with his records in Nashville, Legwand is also known for being the first NHLer to score on a penalty shot in overtime. He accomplished the feat in December of 2000 against the New York Rangers. And thanks to the Nashville-to-Detroit trade in 2014, Legwand is also one of few players to play 83 games in a single 82-game season. But it is his time in Nashville that likely matters the most, as Legwand put a face on a new franchise and became its star player. He took the team through its first successes in the post-season and helped solidify a club that is now seen as a serious contender in the game of hockey. That’s no small feat.